Stratosphere, Asia’s first and only green helipad bar is proud to bring you the world's first ever helipad cinema in collaboration with the UK's Piitch Limited. 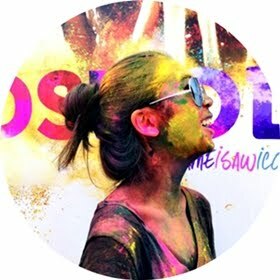 Making its debut on the 4th of October this year, moviegoers can revel in a unique outdoor cinematic experience beneath the stars with a breathtaking 360-degree panoramic view of the city. 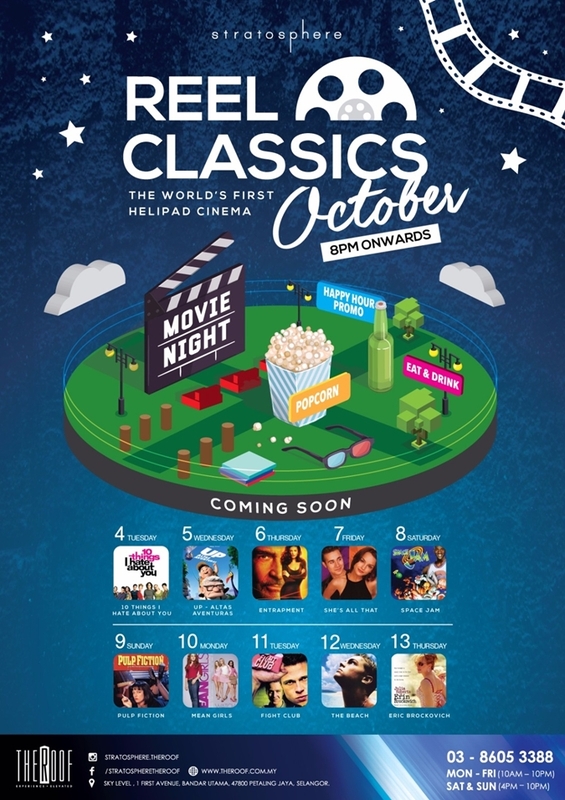 For a duration of 10 days only, the helipad cinema will showcase different genres of classic favorites including animation (“Up” and “Space Jam”), black comedy (“Pulp Fiction”), thriller (“The Beach”), drama (“Entrapment”, “Fight Club”, “Erin Brockovich”) and chick flicks (“10 Things I Hate About You”, “Mean Girls” and She’s All That”). 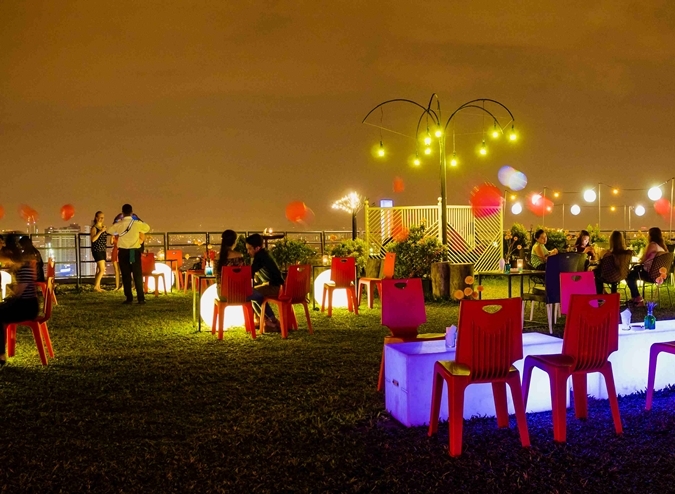 A one-of-a-kind movie experience, the helipad cinema provides visitors with beanbags (courtesy of Doof Industries), seamless wireless headphones and HD movie screening in a setting unlike any other - beneath the stars and surrounded by the city skyline. 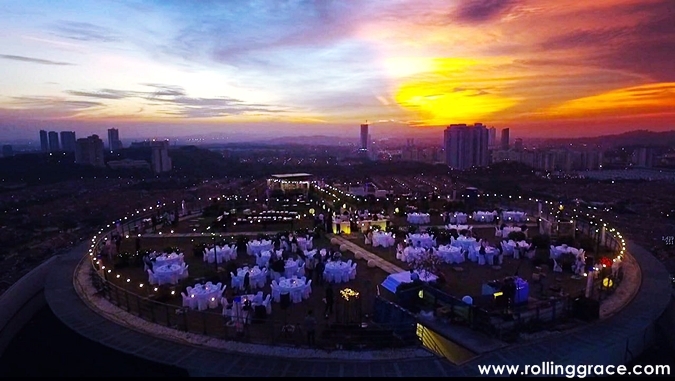 Tickets are priced at RM45 per person with complimentary popcorn and cocktail while food and alcoholic beverages are plenty and conveniently available at the helipad bar. Happy hour promotion starts from 6pm to 9pm at RM15 per glass, featuring the Melon Flower Daiquiri, Sangria Mojito, Butter Mango Caipiroska, Wild Berries Margarita and Strawberry Coconut Mojito. Movies are screened daily at 8pm and 10pm. Please arrive 15 minutes before the show time. No advertisements or movie trailers will be showed before the film. All films will be screened according to the schedule come rain or shine. Screening will be cancelled only in the case of extreme weather. For information on movie schedule or to purchase tickets, kindly log on to www.helipadcinema.com.